One of the most annoyingly catchy and persistent genres of today’s trendy online world is bedroom pop. 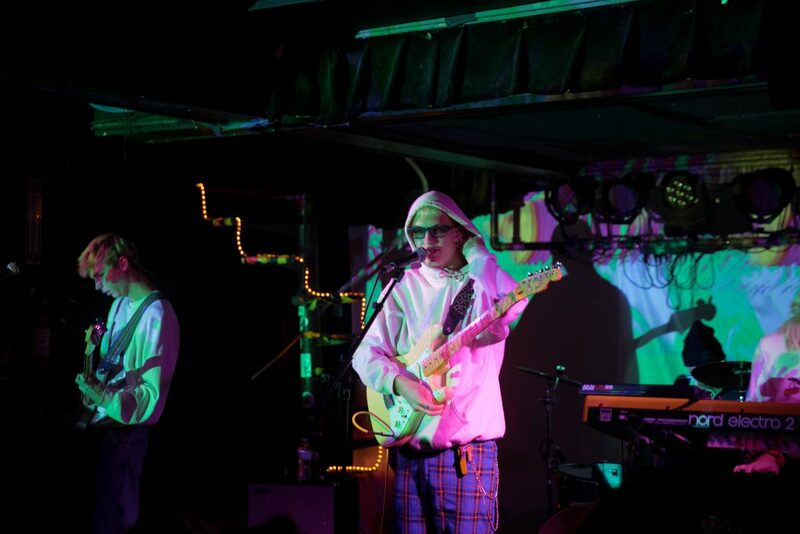 Feeling like an 80’s synth-pop dream, bedroom pop is largely defined by its lo-fi nature and the fact that it’s often created in the homes of the artists themselves instead of through a music studio. Because of this, almost anyone with a Mac, Logic, and a half-decent stringed instrument can put out a bedroom project, but it takes a lot more than that to stand out. The genre’s most recent star is a singer that goes by the name Gus Dapperton. Dapperton is a New York recording artist whose raspy high-pitched vocals seem to have cut through the noise of mediocrity. Unsigned and self-produced, Dapperton’s first hit came with his pop single I’m Only Snacking, and he hasn’t looked back since. 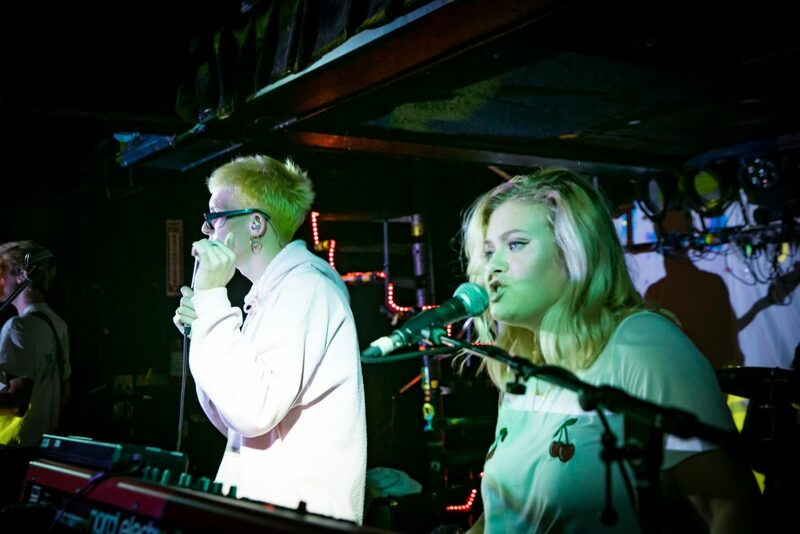 Performing at the Subterranean on Chicago’s West Side, Dapperton was assisted by a minimal band of only a keyboard player, drummer and bassist. 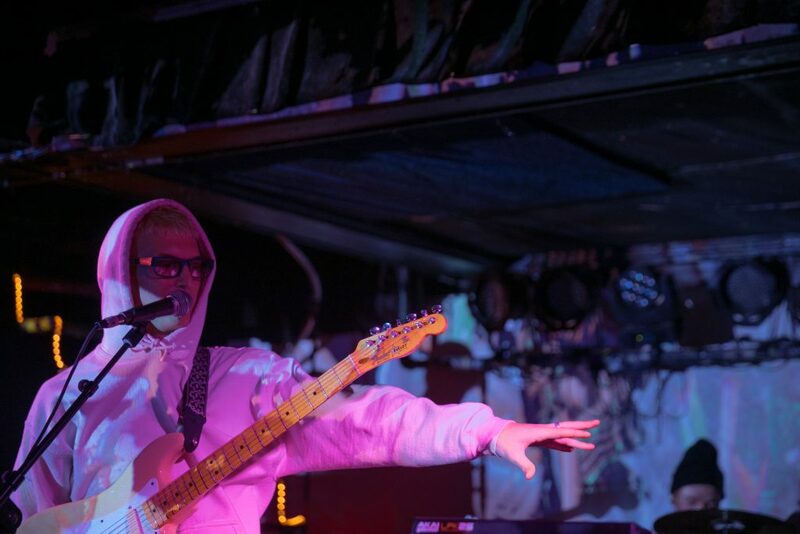 Switching between playing guitar and simply singing, he did not disappoint the hungry crowd of bedroom pop connoisseurs as Dapperton’s sister played the shiny synths the genre has defined itself with. 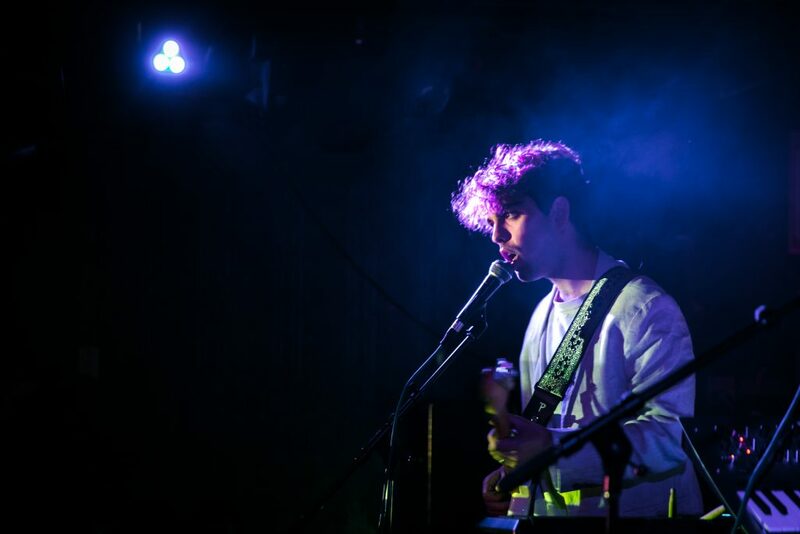 While Dapperton’s charm and flying kicks captured the attention of the audience, his opener Beshken immersed the audience in a thick ocean of sound that left little room to do anything but listen. When he first walked out onto the stage, it was just him, his guitar and his laptop. Yet somehow with only these tools, Beshken’s music had a thickness that seemed to envelop the hearts and ears of the audience. As each song seamlessly transitioned into the next, whenever there was a break in the music it almost came as a shock that such a thing as silence could still exist. Maybe it was his charisma that filled in the empty sonic space, but looking at the crowd it seemed like it didn’t matter what Dapperton did. They seemed to be simply in awe that someone so similar in age and experience to them had been able to manifest a music career out of the inner workings of a MacBook. Watching him tease the audience with his presence as he allowed the front row to reach out and touch him for the briefest of moments before pulling away, it was like he was experimenting with just how much power he truly had over the audience–something I think any person would be curious about if, over the span of a year, they suddenly had thousands of screaming fans all over the country. Finishing their set with a cover of the Isley Brother’s single Twist and Shout, the cover felt like a promise for more synth-poppy goodness that would be coming our way very soon.